It seems to me that quilting requires a lot of paraphernalia. If I go round to someone’s house to do some embroidery, I take a hoop, a bit a fabric, thread and a needle. 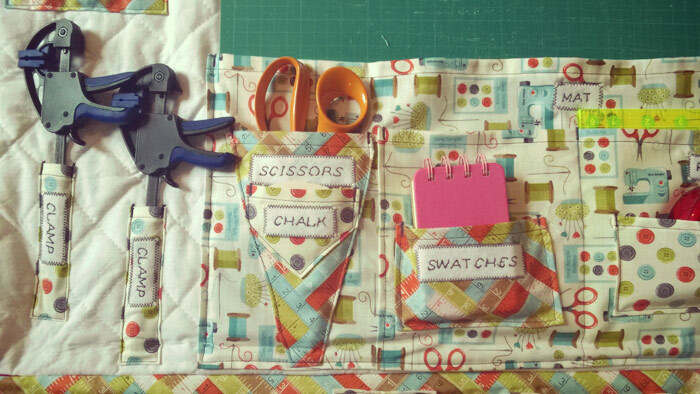 With quilting it’s fabric, thread, sewing machine needles, pins, rotary cutters, mats, quilting rulers, sewing machine… the list goes on and on. 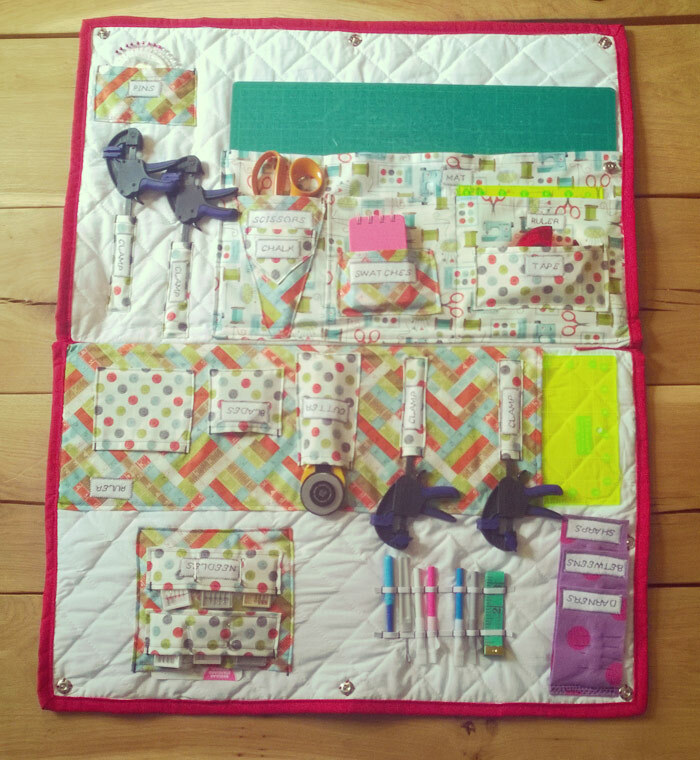 So I thought it would be useful to make a sewing bag to put all my supplies in. My niece was born in February and we went to visit her in hospital the day before my birthday. When we were there my big brother took me to Poppy’s Patchwork, a lovely little quilting shop in Bristol, and I was able to choose some fabric as my present (yay!). I saw the perfect fabric for the sewing bag I’d been planning, one fat quarter with measuring tapes on, one with buttons on and another with all sorts of sewing things on (scissors, pins, sewing machines etc). 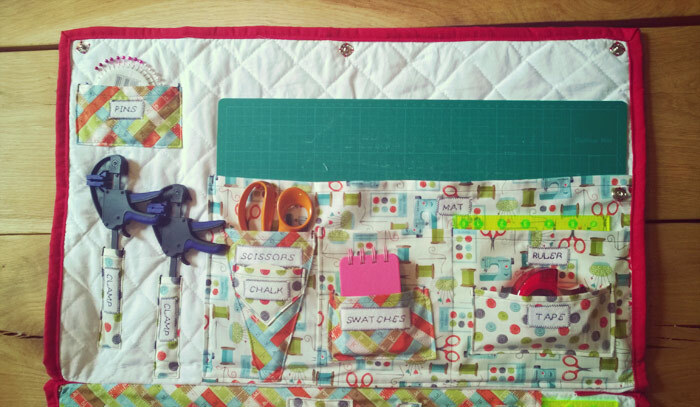 When I got home, I laid out all the things I wanted to keep in my bag, from clamps for assembling my quilt sandwich with, to a swatch book to keep samples of all my fabrics in. 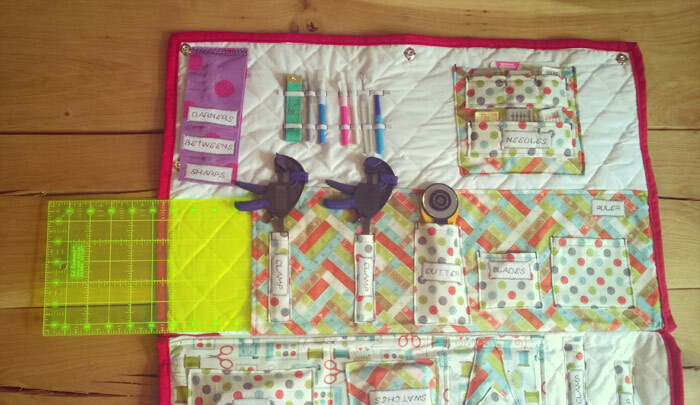 I quilted diagonally across some white fabric backed with wadding and then I made pockets that fit everything. I used my longer quilter ruler, and my cutting mat to provide structure. I maybe could have done with more structure in the bag keep it rigid when I take them out, but I’m not sure how I would’ve done that. 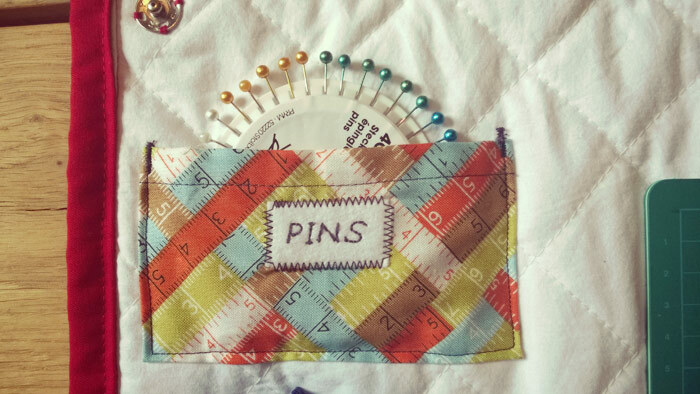 This was the perfect project to learn how to do pocket corners with my sewing machine. It was pretty simple once I learned how, so I used them on all the pockets – there were 19 in the end! 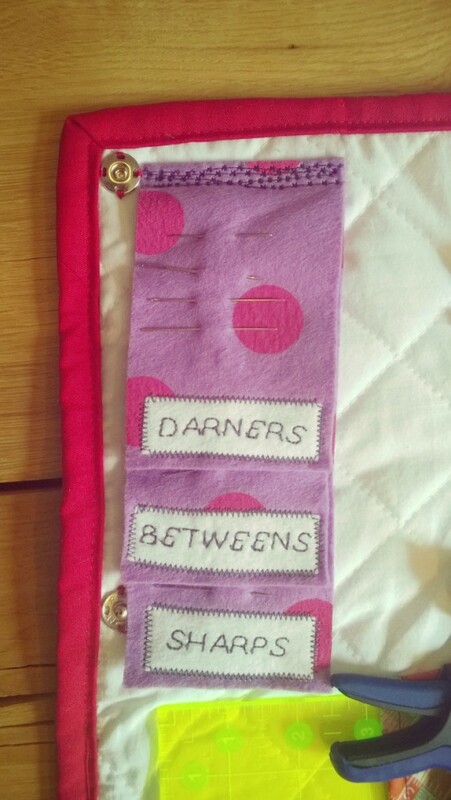 I added a few spare pockets just in case, and labelled each pocket (so I know if there’s anything missing). I used white felt for the labels and used my sewing machine for the writing. I used red bias binding for the edge, which was a bit tricky at the bottom because there were so many layers of fabric and wadding. I want to add at least one more popper, and I might add a handle at some point, to make it easier to carry, but all in all I’m pleased with the results. 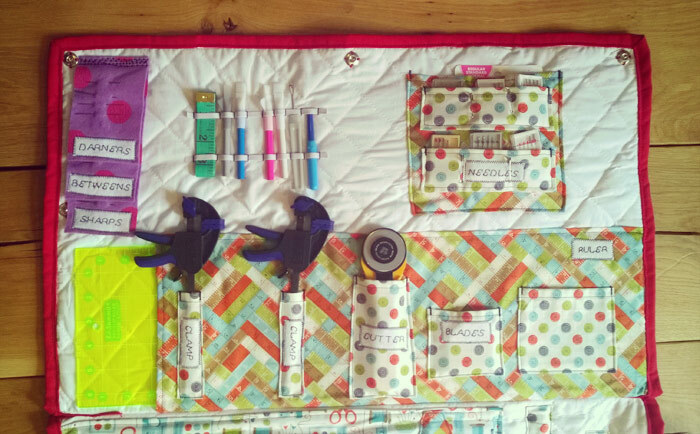 It is just like a tool roll, only a lot more colourful. SO glad you enjoyed making it. Yes, I’ll bring my embroidery next time I come and visit! Are you taking commissions? If so it will go on my Christmas wish list! You should have a go at making one yourself, Anne! That is so cute, I must have one immediately! Neat, and very inventive! Well done. I did use interfacing on one of the sides, but canvas sounds like it would be a bit more rigid. 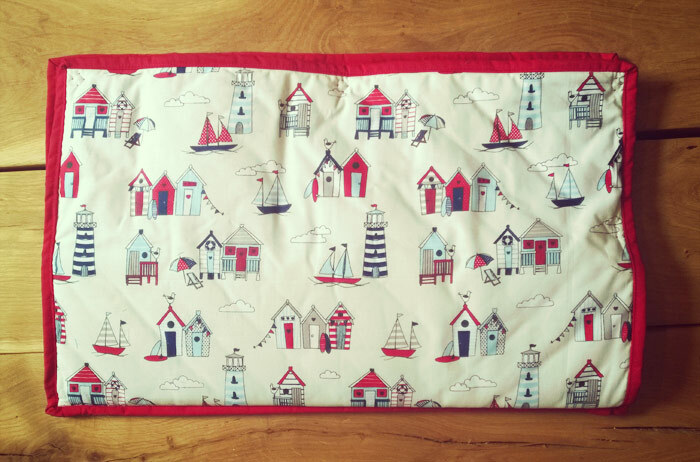 Soft and Stable sounds good – I’ve not ever made a bag before, but this sounds ideal for future projects!